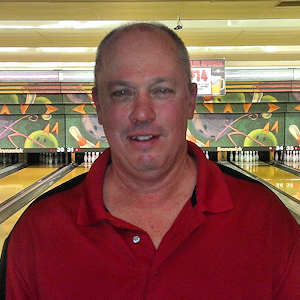 Rick Erce successfully defended his 2013 Senior Masters Title with a dramatic win over 2014 high qualifier Herb Kimpel. 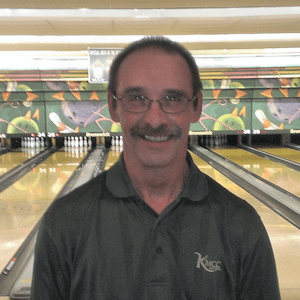 The tournament was held at Bowl-A-Vard Lanes on Sunday, November 23, and conducted on the Kegel Bourbon Street* pattern. *An earlier version of this report incorrectly named the pattern as Kegel Boardwalk. Scoring was higher this year; the field averaging just over 203 for the tournament. The cut to cash was +12, +30, +54, +60, +74, and ultimately +74. The cut to make the top four stepladder was +34, +70, +69, +103, +108, and finally +125. Mike Helsell, who posted the high game of the day with an opening 278, led qualifying for the first three games with a strong 734 set. 17 different bowlers were in the cash at some point in the tournament. Going into game six, eight bowlers were within 30 pins of the fourth spot. Kevin Thompson, fired a 247 finale to move into third. 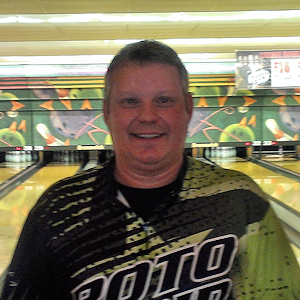 The stepladder field required a ninth and tenth frame roll-off between Jeff Richgels and Jeff Prein, who each qualified fourth at +125 for their six games. Both spared and struck, but Richgels came up short on the fill ball. Prein advanced 39-36 to meet Kevin Thompson (+144). Thompson had an early lead through five frames, four strikes to three, but Prein tacked on six bagger for a 266 after a pair of spares in the fourth and fifth frames. Thompson had 233, placing fourth for $135.00. Prein moved on to meet defending champion Rick Erce (+148) in the semi-final. Erce controlled the match early, with the first five strikes. Prein ran into trouble right away with a pair of opens in the third and fourth frames. He closed strong for a 204, but Erce coasted to a 247-204 win. Prein won $160.00 for third place. 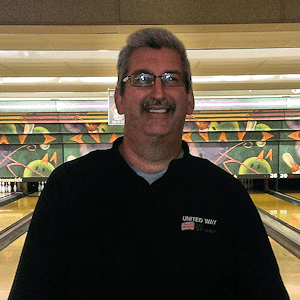 Erce spared the first two frames, had three in a row, but erred first in the sixth frame with a seven count split – posting 124 in the sixth frame. Kimpel spared in the first, had three in a row, and spared in the fifth. But his sixth frame effort also erred, resulted in a big four. Kimpel went for three to tie the match. He nearly picked up the split by sliding the four just into the six, though it didn’t fall. Kimpel followed with a strike in the seventh. Erce was unable to answer to maintain his lead, posting a nine spare in the seventh and a strike in the eighth. Kimpel spared again in both the eighth and ninth frames, giving him a maximum score of 212. Erce, looking to close out the match after regaining the lead, doubled with a strike in the ninth, and could now shut out Kimpel with the first strike in the tenth. Unfortunately, the six pin slid over half a spot and Erce had to settle for the spare. Looking for a strike on his fill ball to post 213, Erce came up light for an eight count and a 211 game. Kimpel now had ball in hand looking to strike out for 212 and the win. He promptly buried the first ball for a strike, but could only ring up nine on his second shot in the tenth – sparing it for 202 and second place. Kimpel won $195.00. Erce won $320 for first place, the eagle trophy, a pass to the annual Dinner With the Champions, and two tickets to the annual MBA Hall of Fame and Bowler Recognition Dinner.